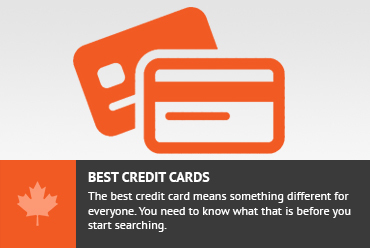 When used correctly, credit cards are an integral part in a financial plan. They build credit, allow the user to accumulate rewards points, and are a convenient method of payment. With today’s credit cards, North Americans are able to go on trips for free (or at least at a drastically reduced cost), and get other awesome benefits that we can only get by using certain cards. Credit cards are often abused, however, which is what makes the credit card industry one of the most profitable in the world for banks and credit card companies. Credit card debt is one of our nation’s biggest financial problems, and the easy access to credit has resulted in household debt ratios that are higher than ever before. There are right ways and wrong ways to use credit cards. Here are a few no-no’s that will surely come back to bite you, and what you can do instead. Your credit card should be used as a leverage tool, not as free money. It’s not free cash, and, in fact, credit can come at a steep price if you aren’t careful. Charging things to your credit card that you wouldn’t be able to afford without it is a good example of poor credit card usage. That $2,000 vacation that you are thinking of charging to your card will turn out to be $2033 after one month with a 20% interest rate if you don’t pay it back right away. Compound interest can either work for you, if you invest your money, or work against you, if you borrow money. What to do instead: Charge every day expenses and purchases to your credit card and pay it back before your balance is due, so you don’t incur interest. This will allow you to accumulate rewards, build your credit, and frees up your cash for a period of time during the month to accrue interest in your savings account. Don’t carry a balance! So your car kicks the bucket, and you need a new one. You see the model of car that you want at a used car dealership and decide that you want to buy it. Do not use your credit card as a car loan! It’s shown over and over again on Slice’s Til Debt Do Us Part: couples charging large purchases to their credit cards. Typically this requires credit card cash advances and tricky balance transfer work, all of which comes with hefty fees and doesn’t allow you to benefit from the card rewards. If you absolutely need to take out a loan, do so with a bank or lender. The interest rate will be a fraction of that of your credit card’s rate, and you’ll save a lot of money and hassle. What to do instead: Save up cash for those large purchases. If you must borrow money, do so through a traditional lender and shop around for the lowest rate and best terms. This is, unfortunately, an easy trap to fall in to. There are many cards out there that offer enticing rewards; the more you spend on your card, the more points you earn. This is a nice benefit of putting your regular expenses on your credit card and paying it back before you incur interest charges. Spending more than you would normally spend just to meet a threshold (ie get 10 extra points on purchases over $100) is not a good way to use your credit card. Remember that if you are spending more money to get more points, you are spending more money to save money. The purpose of rewards points is to save money on travel or products (or get these things for free). This bad credit card behaviour defeats that purpose. What to do instead: Take advantage of bonus points only if it doesn’t come with a cost. Remember that credit card rewards shouldn’t cost you extra; they should be a happy outcome of every day spending. Your credit card can be your best friend or your worst enemy. Don’t fall victim to your credit card. Using your credit card wisely and being a responsible card holder will save you from miserable debt. “Your credit card can be your best friend or your worst enemy”, I totally agree with that statement. Debt sure is miserable. Credit cards aren’t for everybody! I used to use my credit card in the wrong way, but have changed my spending mentality and now use it the right way. I don’t spend more with it. I buy things I normally would and then earn the rewards. That’s the right way to use a card. I’m glad you change your spending habits! I’ve never understood the concept of spending money you don’t have. I guess it’s good to not understand it! It likely means you won’t do so! I hardly ever use cash anymore. My wife and I use a 2% cash back rewards credit card for most all purchases. But as you pointed out, we don’t go out of our way to buy extra stuff to experience that reward, nor do we carry a balance. 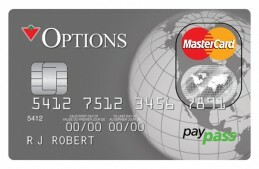 We are known in the credit card industry as deadbeats, since we don’t have any debt. I don’t have a credit card yet – but these are great tips for when I do! Thanks! I’m sure you’ll use your first card responsibly when you do get one. Don't subscribe All Replies to my comments Notify me of followup comments via e-mail. You can also <a href='https://www.creditwalk.ca/comment-subscriptions/?srp=2393&srk=2648578ecea05c83754707575dc5a494&sra=s&srsrc=f'>subscribe</a> without commenting.